If you’re reading this article on your mobile device right now, that’s not surprising. With 3.7 billion mobile users worldwide, and mobile devices making up almost half of all page views in the world as of early 2017, mobile marketing today is paramount. If you’re working as a mobile marketing manager, you most likely know the importance of monitoring your hard work and progress. One of the best ways to do this is by analyzing the data offered through Google Analytics. If you don’t have a Google Analytics account already, consider some of the many benefits. Here are six things mobile marketers can do with Google Analytics skills. As a mobile marketing manager, you know that page speed is very important and impacts mobile search results. 53 percent of site visitors will abandon a webpage if it takes more than 3 seconds to load. That’s a risk you can’t afford to take with your audience. There are several things that can affect page speed—for example, using images on your website that are too large. With Google Analytics, you can track page speed and make sure it isn’t too slow. If you do see that the page speed isn’t as quick as the industry standard, your team can begin identifying the root of the problem. If your company has a mobile app, you may also work on the marketing for that app. 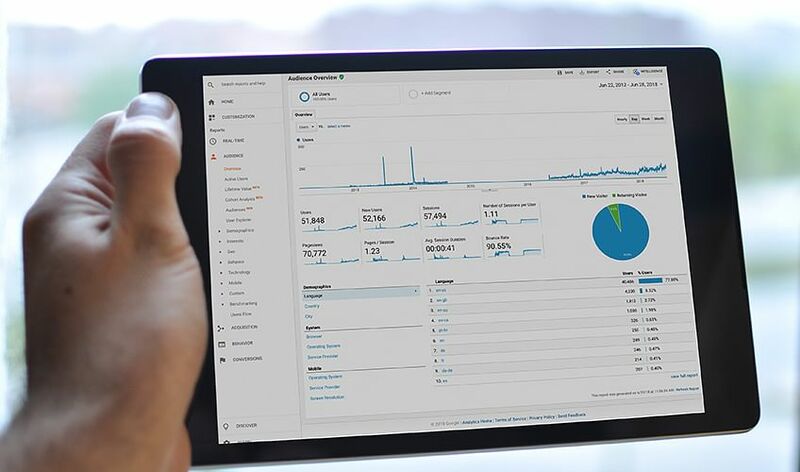 As such, Google Analytics can be extremely valuable to you because it can allow you to see how the app is performing. If there’s anyone who can appreciate the ability to get work done from their device, it’s a mobile marketer. Your analytics should be just as mobile. 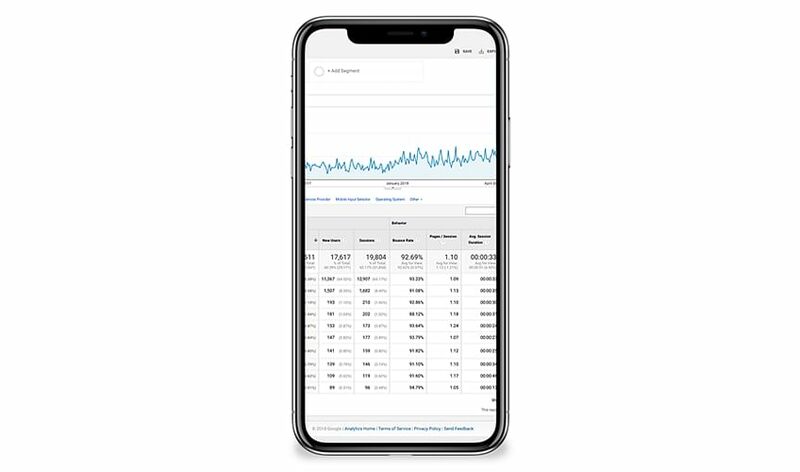 Google Analytics isn’t just a desktop tool; if you prefer to do most (or all) of your work on the go, or just prefer the convenience of a handheld mobile device, you’ll appreciate the fact that you can also monitor your data via the Google Analytics app. You can do everything on the mobile app that you can do on a desktop. Bounce rates illustrate how quickly a user leaves a webpage, and as a mobile marketing manager, you want that percentage to be as low as possible. Google Analytics allows you to see what the bounce rate is for your website, which can help you to identify issues that you may not be aware of. For instance, there could be an issue with the website’s design. If it’s not responsive and isn’t loading properly on mobile devices, that could make most mobile users abandon the website rather quickly. As a mobile marketing manager, having this information is crucial. As a mobile marketing manager, knowing about the devices used—as well as other detailed data—can be helpful information when it comes to planning future campaigns. If you weren’t receiving as many mobile users as you hoped for, for instance, it could be because the text on the site is too long for mobile users to read and they’re quickly losing interest. You could also combine this data with the bounce rate statistics mentioned above. If you see a correlation between mobile users and high bounce rates, that could be a sign it’s time to tweak your marketing plans. But if you’re seeing a good amount of mobile traffic with relatively low bounce rates, you’re likely on the right track and can set your attention elsewhere. Whether you’re looking to expand on your knowledge of Google Analytics or learn the fundamentals, Simplilearn can help through our flexible learning options. Our Digital Marketing Certified Associate Certification will teach you everything you need to know to succeed in today’s digital marketing world, including how to master Google Analytics as well as mobile marketing and content strategy.